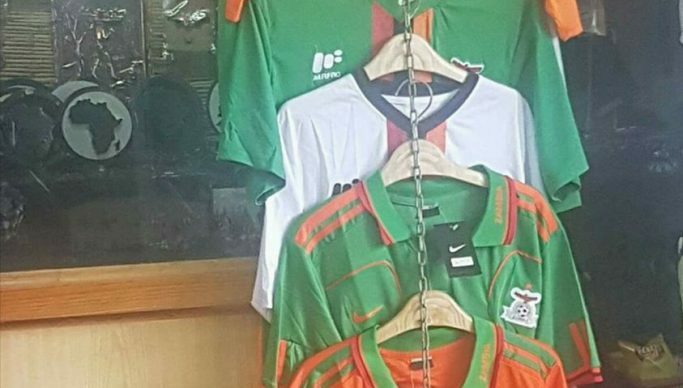 11 people have been arrested for being in possession of counterfeit Football Association of Zambia (FAZ) replica jerseys. Zambia plays Guinea Bissau at Heroes Stadium in the 2019 Africa Cup of Nations qualifiers. Addressing journalists at Football House in Lusaka Tuesday afternoon, General Secretary Adrian Kashala warned of more arrests. He said unscrupulous businessmen had taken advantage of the national football team’s games and made counterfeit products with a FAZ logo. Kashala reminded illegal dealers that the Association’s logo was patented. He said anyone wishing to deal in FAZ products should formally arrange with the Association. ‘’In the recent past we’ve been making pronouncements, discouraging citizens from dealing in counterfeit products; especially products that carry a FAZ logo. To the contrary FAZ logo has become a brand to sell and then most of unscrupulous businessmen have taken the idea to sell products that carry a FAZ logo,’’ said Kashala.